Your Ultimate Idaho Vacation Begins Here! Welcome to Idaho and Wild River Adventures! Whether it’s white water rafting or fishing you’re after, we’re ready to give you the outdoor adventure experience of your dreams. From quick half-day floats near Riggins, Idaho to extended multi-day trips down Idaho’s Salmon River of No Return, we’ve got a summertime adventure to fit your style. 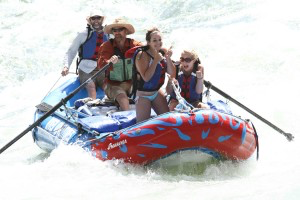 Learn more about Idaho rafting trips. We offer Steelhead, Salmon, Bass, and Trout fishing trips. No matter what it is, we’ve got an experienced guide and a seat in a drift boat for you. 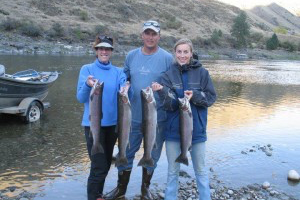 Learn more about Idaho fishing trips.